If your vehicle needs service, you may be wondering if you should take it to a dealership or an auto shop. There are many advantages to taking your car to a dealership that you might have not realized. Here are four reasons why it’s best to have a dealership fix your vehicle. A dealership that specializes in repairing your type of vehicle will be likelier to have the right parts in stock. An auto shop might not have the right parts in stock and may try to use similar parts that aren’t compatible with your vehicle. If your vehicle is an older or a rarer model, the dealership can order parts from the proper supplier if they aren’t already in stock. This can save you the trouble of having to search for these parts on your own. If you choose to wait at the dealership for your vehicle to be repaired, you’ll have access to a nicer waiting area than what you’d find at most auto shops. Dealership waiting areas are often cleaner, more spacious and better organized. Waiting at the dealership also gives you the chance to check out some of the newest products. Edmunds.Com states that you can buy sunshades, keychains and other fun products from the parts department. Most dealerships have factory-certified technicians on staff. These mechanics have been specially trained to service your type of vehicle. The mechanics that work for auto shops are sometimes not factory-certified and can’t give you the same quality of service. Many dealership parts are also covered under better warranties. Whether you require Honda, Ford or Nissan repair service, the dealership will be likelier to offer you parts that have longer warranty periods with greater guarantees. A dealership will know more about your vehicle than an auto shop does. The dealership can let you know the latest information that has been published about your vehicle. Quite often, dealerships are among the first places to know of any vehicle or product recalls. Auto makers also pass on service recommendations to dealers. Dealerships are usually good about letting their customers know about the latest recalls and service recommendations. Your dealership should contact you about any important news. Visiting a dealership is the obvious choice if your vehicle needs any repair or maintenance work performed. By going to a dealership, you’ll be making an excellent investment of time and money into keeping your vehicle running. If you have recently purchased the classic car of your dreams, you may have incredible plans to restore it to mint condition. This type of restoration project can take many months to complete. While this will be a labor of love that you may enjoy thoroughly, there is one thing that you need to focus on before you get started with the work. You need to create the ideal space to work on your car restoration project. Working on an auto restoration project is not something that you want to do in a tight space. 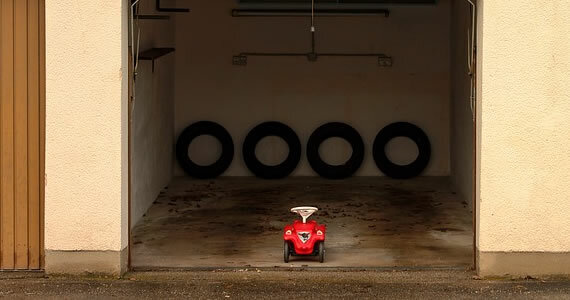 You may need to raise the car at certain times, and you may need to swing all doors wide open at other times. You may also need to use specialized equipment a few feet or more away from the vehicle to prepare parts for installation. The minimum amount of space that you may need for this type of project is a two-car garage, but it is best to work in an even larger space if possible. Regardless of whether you plan to work in your garage or in a separate structure on your property, you need this space to be perfectly comfortable to spend hours in. This means that you should consider installing an HVAC system through a company like Aggressive Mechanical Contractors, Inc. for year-round climate control. You also should have adequate ventilation for your health and safety. Both natural and artificial light are essential, and you will need access to water and electricity to complete many of the smaller projects related to your dream car restoration work. Your old and perhaps beat up car may not have much value right now. However, as you make regular improvements to it, its value can skyrocket. In addition, you may have expensive parts, tools, and equipment in your home workshop. Because of this, you need a way to secure your workshop when you are not in it. This should extend beyond a simple door lock. Keep any blinds on the windows closed when you are not working on the vehicle. Use a garage door open with a secure entrance feature. Ask a locksmith to upgrade your door locks as well. It may have taken you time to find the right classic car to begin restoring, and it will undoubtedly require a substantial personal investment to complete the restoration project. The environment that you choose to work on your car will affect your comfort level, your ability to move around freely and your ability to secure the vehicle. Focus on each of these factors to create the ideal auto workshop. Dents, rust, chips and scratches often cause buyers to walk away. Most car owners can repair mild damage with easy-to-use auto body repair kits. A professional dent repair kit, for example, contains a dent puller tool that makes it possible for you to pull almost any mild-to-moderate dent until the surface pops back into its original position. Rust and scratch repair kits offer sanding and other tools designed to rub away existing damage and repair and hide marred spots. Look for kits that offer high quality automotive putty for fiberglass and metal and automotive color-match paints. For more extensive damage, such as panels and fenders with deep dents, rust that’s rotting through an entire section or cracked windshield or window glass, replace the parts. You can find used parts in many ways, but try the following two methods first: Post “ISO” or “In Search Of” advertisements on classified ad sites like Craigslist and in local yard sale and free trade groups on social networks like Facebook. 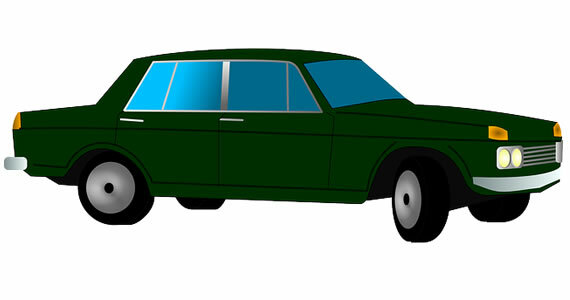 Include the make and model of your vehicle and part descriptions. Also try to find cheap parts in local junk yards that store old and wrecked vehicles that still have many good- and excellent-condition parts. Most vehicle owners must also buy some new parts related to the appearance of their cars. These are the types of parts that aren’t usually available previously-used condition at all or in at least an undamaged state. For example, replace brittle wiper blades or rusty wiper assemblies, cracked or dulled tail light covers and dirty interior mats. Most parts retailers offer deals and discounts, such as discounts for shopping online and a percentage off the total purchase for loyal customers. For tail light covers, pick a trusted parts dealer who sells high-impact acrylic tail light covers in clear and colored options at affordable prices. Although it might seem like common sense, vehicle owners often forget to deep clean the headlights. As with tail light cover cracks and dullness, small dings from rocks, natural plastic yellowing and dullness and other marks on headlights can make your car look older and worth less. Although you can find several retail auto headlight cleaning options that make it effortless to sand out dings and remove an ultra-thin layer of damaged plastic to give headlights new life, do-it-yourself methods can also do wonders at little cost. For example, rub the headlights with white, non-gel toothpaste and a damp melamine foam eraser until each headlight appears clearer. 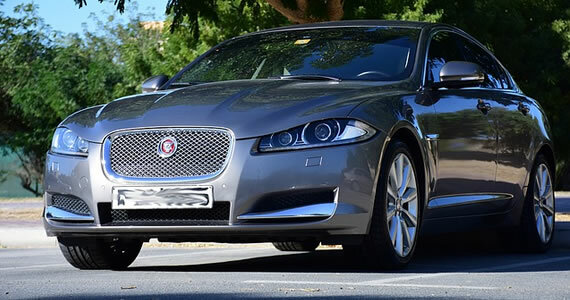 Rinse with a damp sponge and then use car wax polishing paste to remove any fine marks and make your car’s headlights gleam. Sometimes professional work by a mechanic or auto body specialist can cost less than some do-it-yourself options, such as with multi-panel and hood replacement or re-painting the entire vehicle. Before you do certain D-I-Y tasks that require extensive labor, always compare the cost of parts and the estimated amount of time you think it will take to complete the work to the cost of parts and a professional’s estimate. Some automobile repair specialists offer low-price deals when you purchase parts through them in addition to repair services. 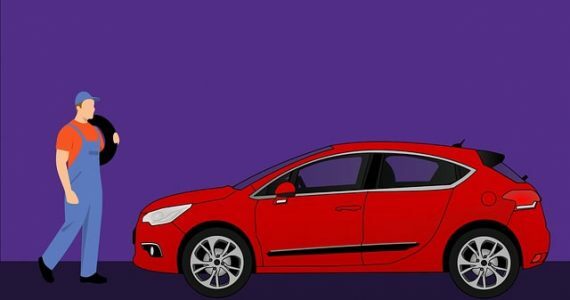 No matter what you decide to do, following these four budget-friendly methods can typically make your car look its best without breaking the bank. 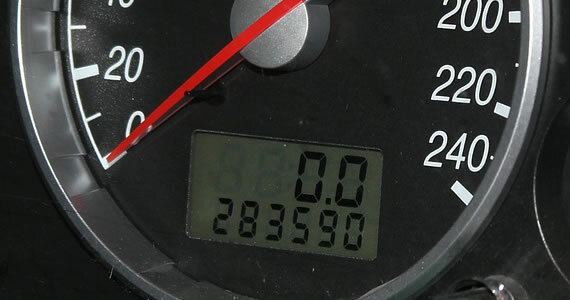 A car or truck with 80,000 to 90,000 miles on it is often considered a high-mileage vehicle. Even so, if you have one of these vehicles, it could still be on the road at 200,000 miles if you practice good oversight and regular maintenance. If your car is getting on in years of miles use these tips to keep things running smoothly. Check the level of your motor oil every two weeks and be sure to get regular oil changes. One recommendation is to change your conventional motor oil once every 3,000 miles or three months, whichever comes first. If your vehicle uses synthetic motor oil, change it every 8,000 miles or eight months. Check your coolant once a month. If it’s low, have more added. Have your mechanic check your differential and transmission fluids as well. If you’re the owner of an AWD or 4WD vehicle, you’ll have three differentials that need to be serviced in order to prevent costly repairs down the road. Recommendations for when to change the differential and transmission fluids vary. Let your owner’s manual and your auto mechanic be your guide. Be sure to have the vehicle inspected annually. Mechanics who inspect high-mileage vehicles usually pay particular attention to the suspension, bushings, radiator hoses, engine belts, and brake calipers. If you have a good mechanic on your side, it will make it easier to prevent future problems and to get the best maintenance. Have your mechanic do a tune-up once every 30,000 miles or every two years. It involves checking the battery, belts and hoses, windshield wipers, wheel bearing and alignments, headlights, tail lights, brake lights, and blinkers. The mechanic will also check the air filters and the power steering, brake, transmission and antifreeze fluids. Between inspections, noting new sounds, vibrations, pulling to one side, difficulty in shifting gears, fluid leaking on the ground, and more, you should be aware of any changes in how your car handles. Under any of these circumstances, have the vehicle checked out. Your car’s tires should be rotated every few months as well. Discount Tire Centers can do this regularly if you schedule with them ahead of time. This preserves your car’s finish and prevents rust and is particularly important in harsh environments such as seaside communities where the air is salty. It’s also important in weather zones where harsh ice melter is often used on the roads. By focusing on the operation of your motor vehicle and investing money to maintain it rather than waiting to take your car to the shop when a problem occurs, your vehicle could still be on the road when it’s nearing 200,000 miles. If you have an old car you might be wondering what you can do to keep it running for as long as possible. Although you can’t keep your car forever, you can take steps to extend its life and get more out of your investment. You just have to know how to spot potential problems before they progress. This way you get the best possible results. Although it might be time-consuming, caring for your old car is always worth the effort if you want to prevent it from breaking down. Here are some tips for making better diagnostic estimates one your car. As your car starts to show its age, you might notice small wet spots in your driveway. Those spots are an indication your car is leaking fluid and is an issue you must address right away. Before you do anything else, open the hood and check your car’s oil level because driving while low on oil can damage the engine. If you know what you are doing you can repair the leak yourself. If not, it might be best to get a second opinion from your mechanic. If you want to keep your old car out of the junkyard, you must always be on the lookout for the check engine light. If it comes on, then it’s essential you find out what triggered it so you can make the required repairs. You can buy a scanner at most repair shops that will read the code and tell you what is wrong with your car, but you can also take your car to a repair shop and have it looked at by a trained mechanic. If you have a specific model it might be worth the time to have a places like Performance Honda in Bountiful or your local Volvo dealership take a look at your model since they’ll be able to use the correct tools and parts. Keeping your old car from breaking down for the final time can be a challenging task. But being proactive when it comes to spotting red flags will work wonders to keep your car on the road for as long as possible. Make sure you’re always vigilant about what’s going on with your car and be sure to upkeep with regular maintenance.